A beautiful outdoor inspired wedding invitation featuring modern fonts paired with mountains and forest pine tree elements for the elegant adventurer wedding. A gorgeous wedding invitation which will set the stage for your wedding day nuptials. Each card comes with an accompanying cotton, flat backed envelope. 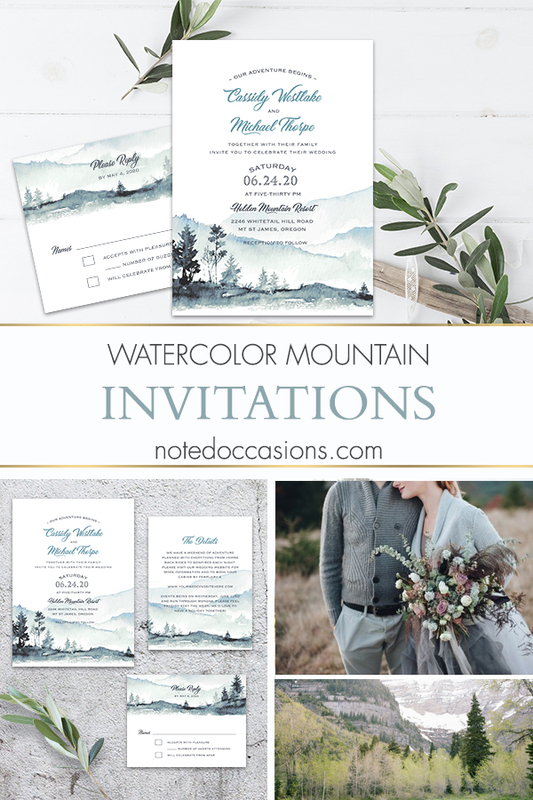 Mountain Wedding Invitation Template Watercolor Forest Modern Design. 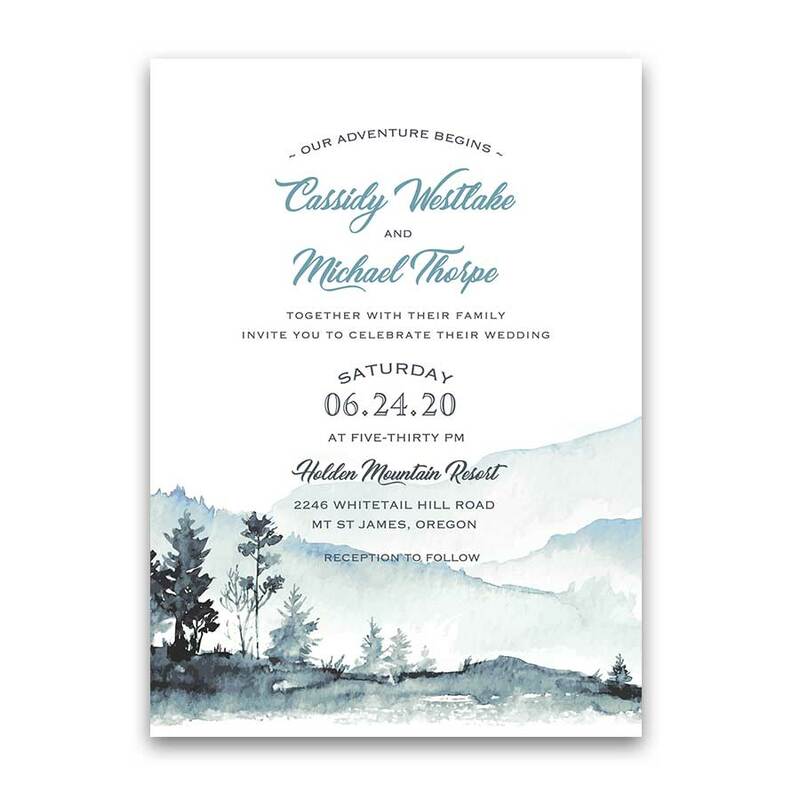 This one of a kind wedding invitation boasts a modern watercolor mountain scene with forest elements all in tones of blue. 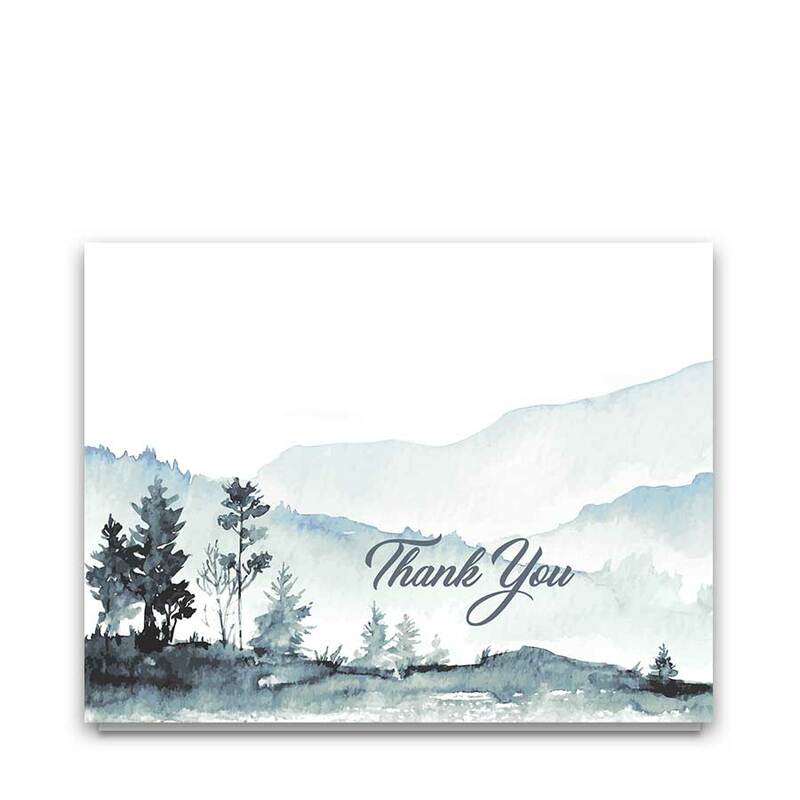 Your guests will absolutely love this invitation to your mountain themed wedding. Welcome to the Ridge Hill Collection. Set on an elegant white background, this mountain and forest wedding invitation boasts gorgeous mountains sitting beyond a grouping of trees and forest elements. 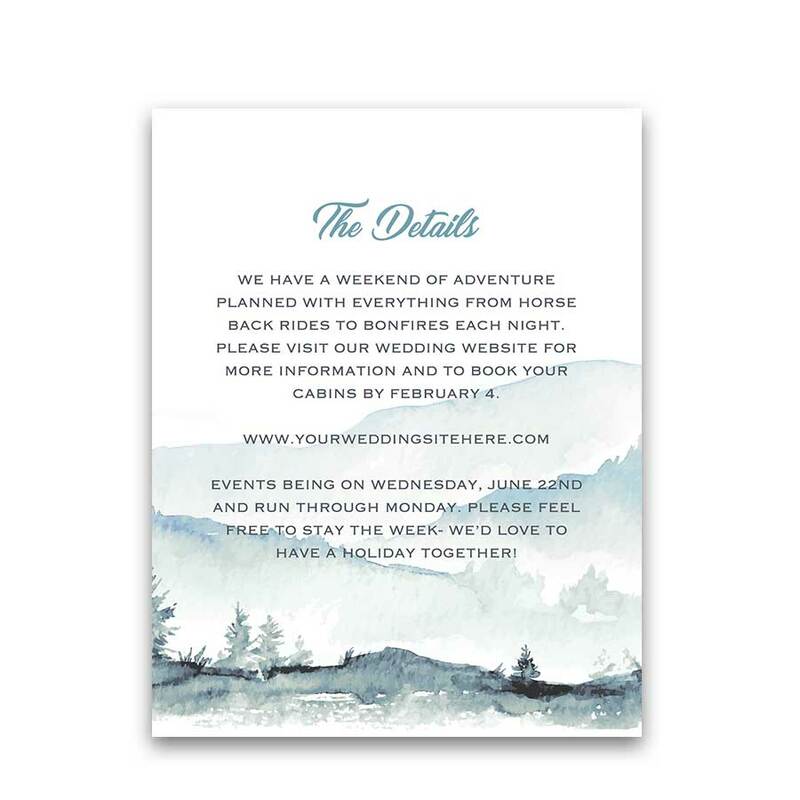 The invitation set announces your wedding adventure with style elegance. A great font layout completes the design. Romance flourishes within the outdoorsy overtones of this design. Likewise, the modern Woodsy Wedding Invitations Template makes this design perfect for many different wedding themes in the outdoors. 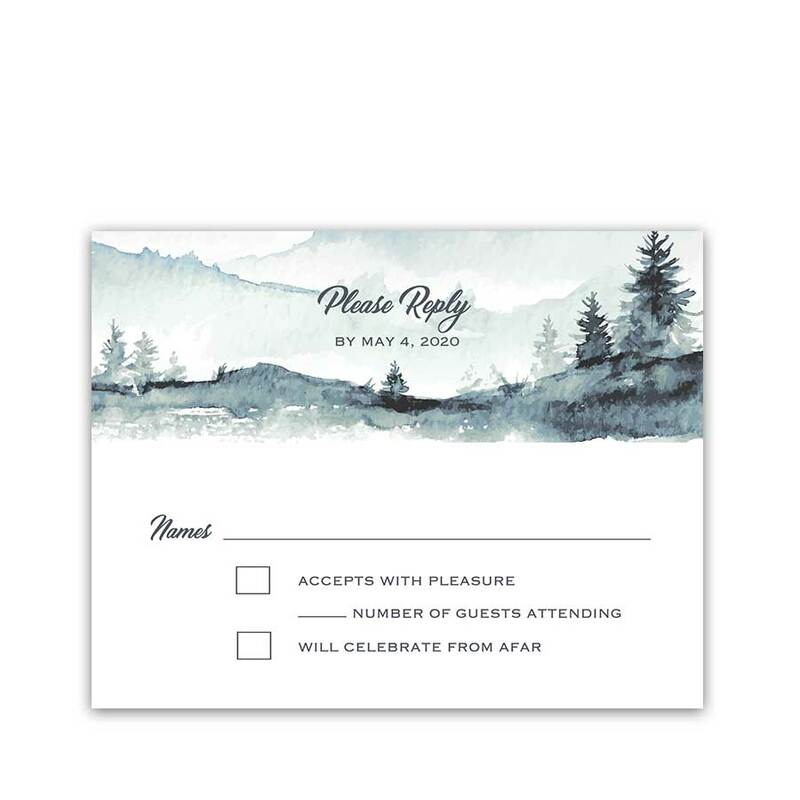 The Mountain Wedding Invitation Template Watercolor Forest Modern measures 5 inches wide by 7 inches long. The back of the invitation is also white.